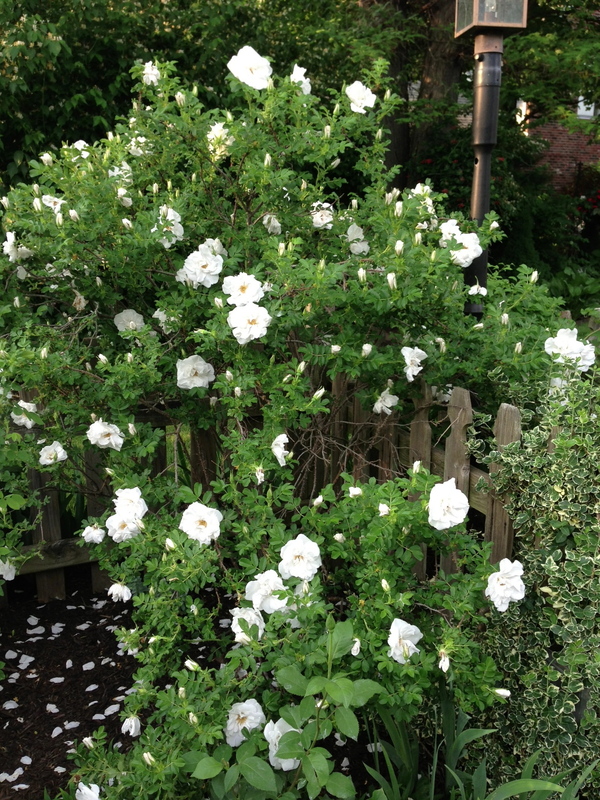 Blanc Double de Corbert is large Rugosa rose that has been around since 1892. 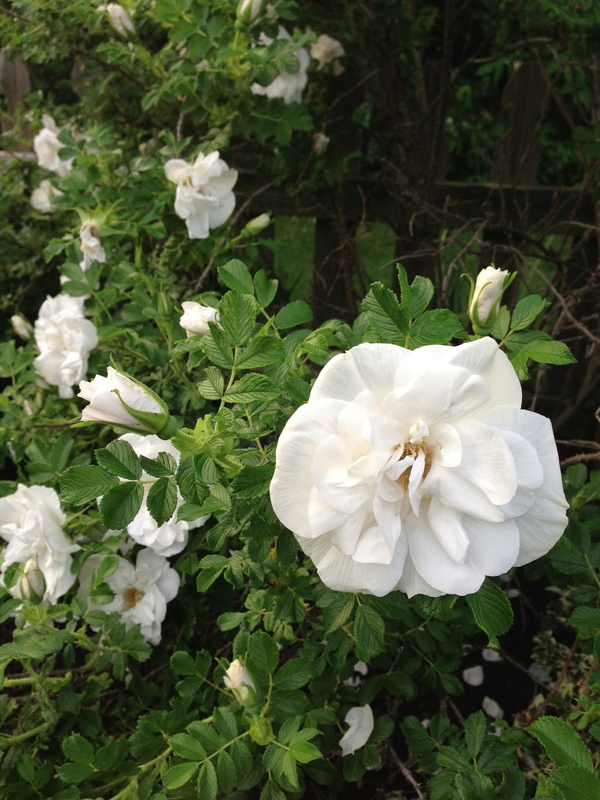 This rose has pure white large double flowers with a very lovely fragrance. And, this year I had the pleasure of watching these blooms stand firm even in torrential downpours! The picture below was taken after one of the many “downpours”! Like all rugosas, this rose is tough, hardy, fragrant and naturally disease resistant. And, a good repeat bloomer for me. I was ripped off then I had a rose that was supposed to be a blanc double de coubert and it was beatiful except the flowers hate water and would turn brown after the rains, yuck, so much for these cheapy garden centers. now I stick to the companies that specialize in high quality plants a bit more pricy oh but so worth it. Hello Melanie, nice to hear from you. I am in the process of deadheading hips now so I will have more rebloom, but will not deadhead the second blooms so I will have some winter hips! Don’t you just love this rose!